With four EMC testing chambers, we are the only accredited electrical testing laboratory in Ireland and feature the most up to date test equipment, including four anechoic chambers. The use of the chambers is essential for repeated broadband interference free sweeps of the spectrum, which reduces client expense by assisting in development of cost effective product designs. Our facilities also lend themselves to pre-compliance testing.Our rural location was specifically chosen to ensure minimum background electrical noise to disrupt our open area test site. 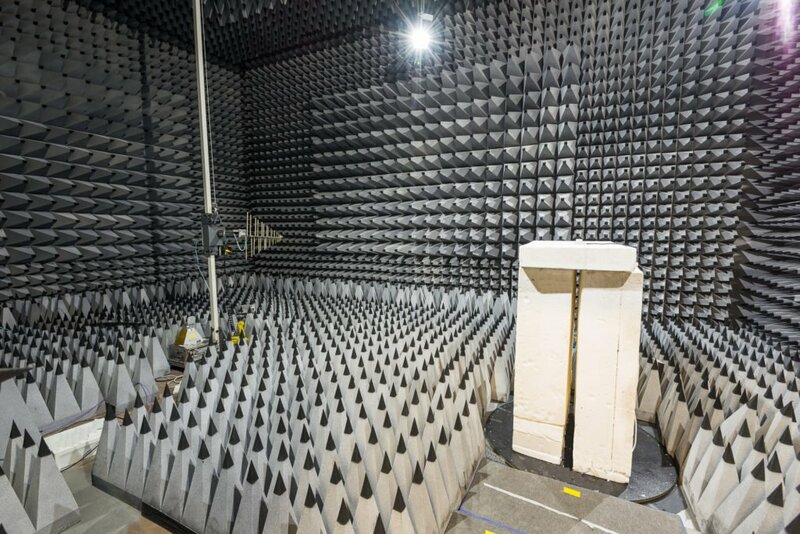 Our fully anechoic 3m range test chamber is dedicated to radio testing.